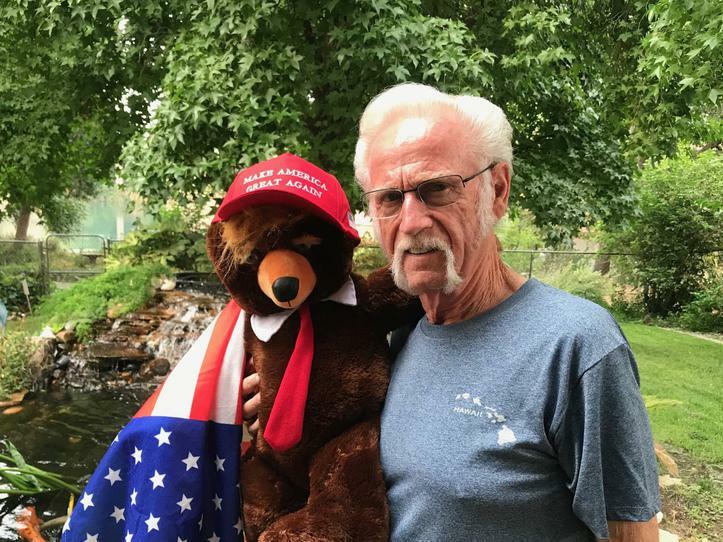 ​We are pleased to announce the winner of Trumpy Bear is Bob Nance, owner of Bob's Tire Center in Red Bluff and Corning. 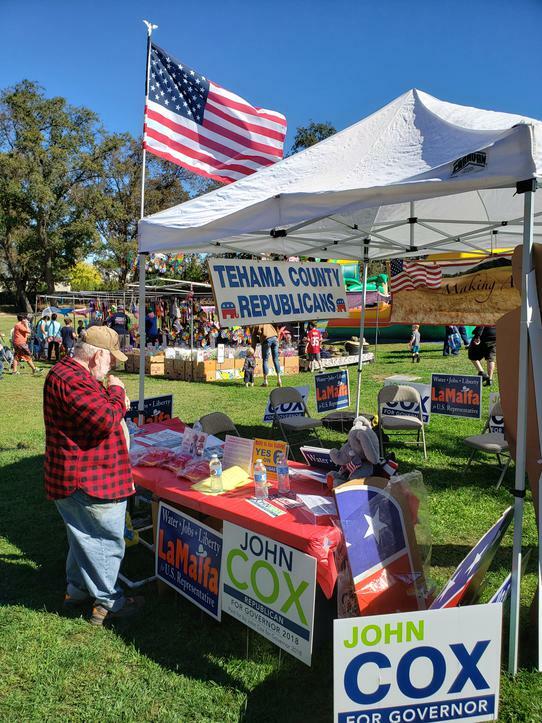 The Tehama County Republicans wish to thank everyone who took part in our fundraiser which will benefit the mission of our committee and help support our Community Service Scholarship for high school seniors in Tehama County. 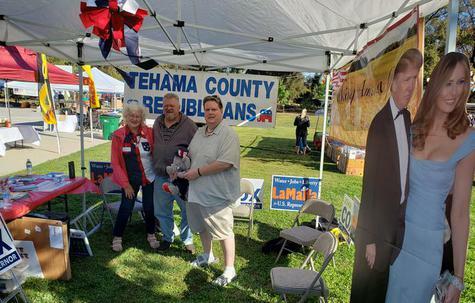 Thank you for stopping by and visiting us at this year's Tehama District Fair. 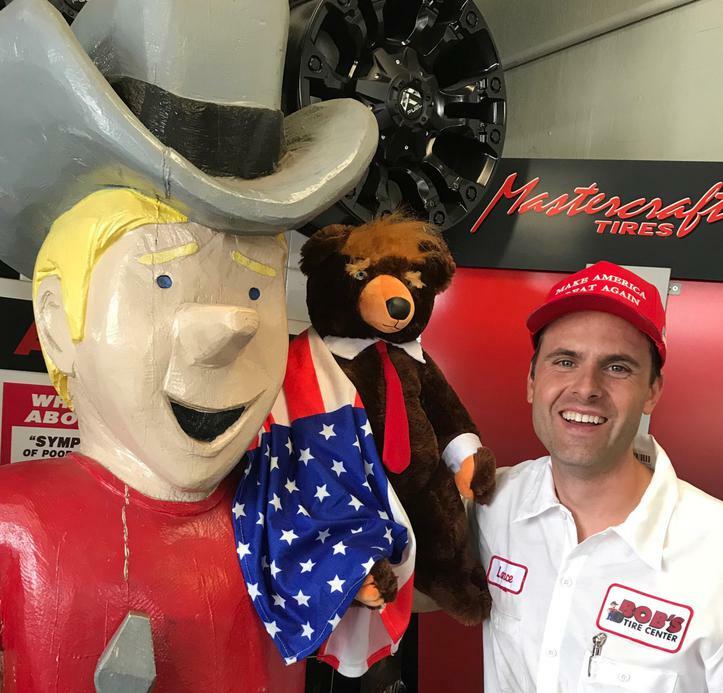 Pictured with the "Adorable Deplorable" is Bob's son Lance Nance at the Red Bluff Bob's Tire Center. 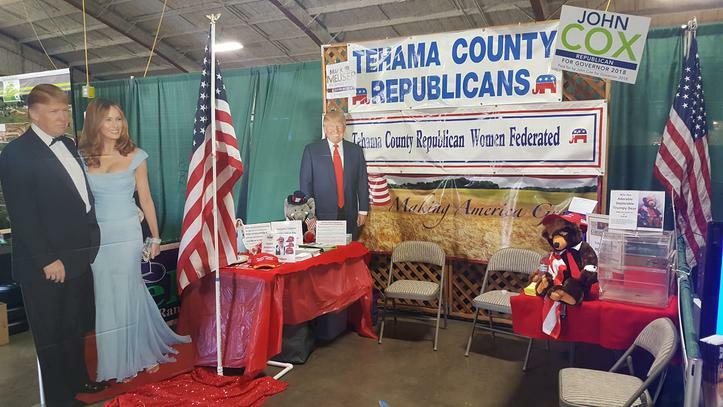 Above is our booth at the recent Tehama District Fair. 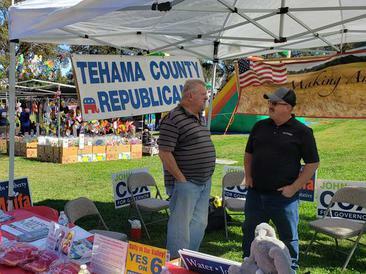 What a great weekend to be a Republican in Tehama County. First, it was a beautiful and windy day in Corning. 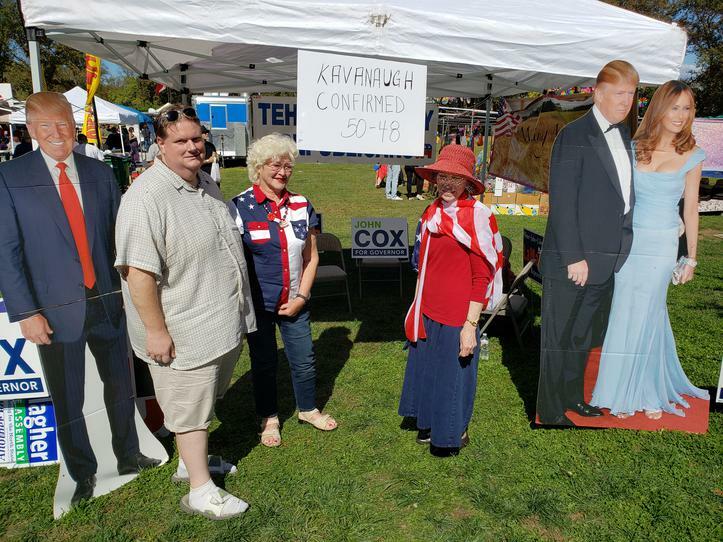 We spent the day at the Corning Olive Festival meeting with so many great American's and getting the word and yard signs out for our state candidates. Then we learned of the confirmation of Judge Kavanaugh. It was encouraging to see just how many people are celebrating with us. We have just about a month to "Keep Making America Great" by electing Gov. John Cox, keeping Doug LaMalfa in DC as our Congressman and repealing the Gas Tax by voting Yes on Prop.6. 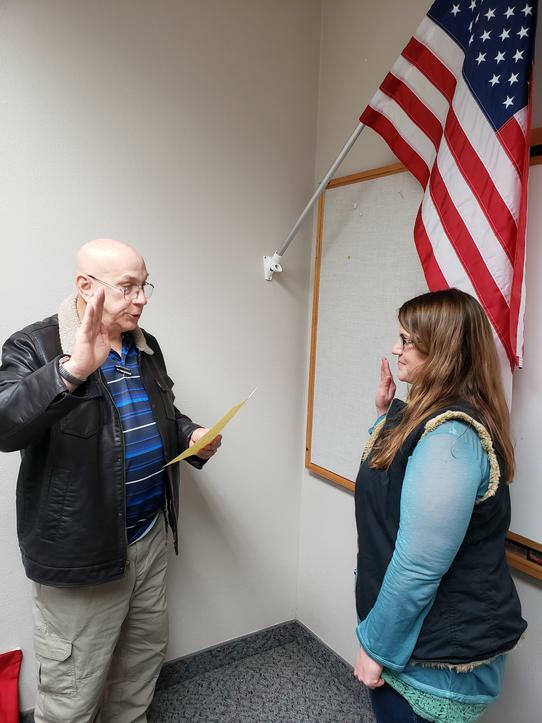 Dana Brent of Red Bluff was sworn in at the last Tehama County Republican Central Committee to fill a committee member seat for District Three. 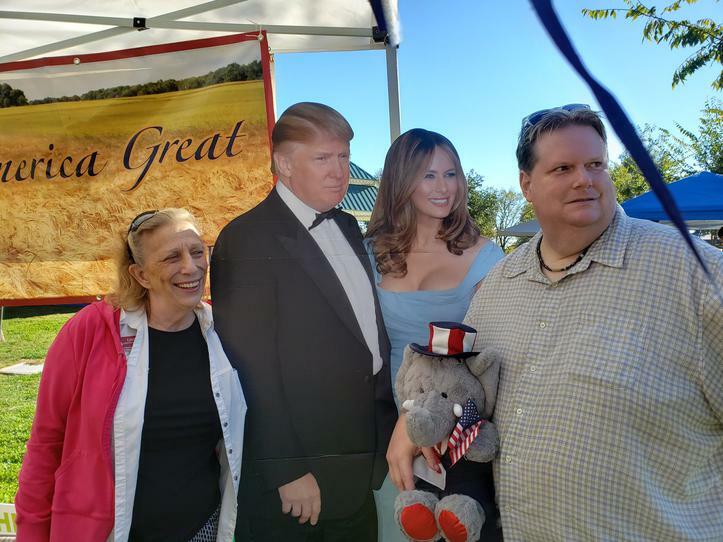 Brent is also a member of the Tehama County Republican Women Federated. 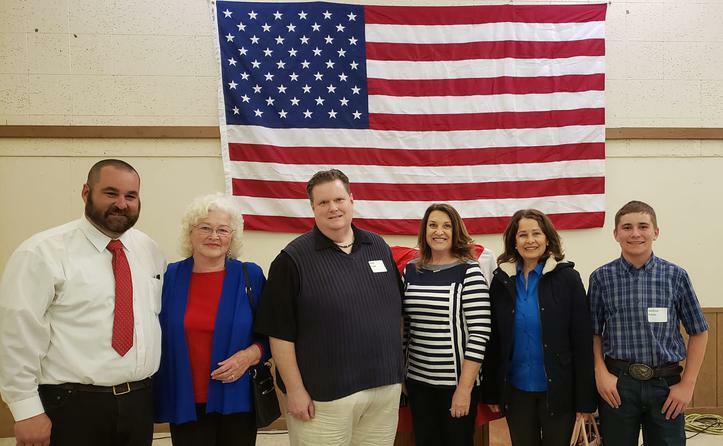 Members of the Tehama County Republican Central Committee attended the Glenn County Republican Annual Spring Dinner on Saturday, March 30. 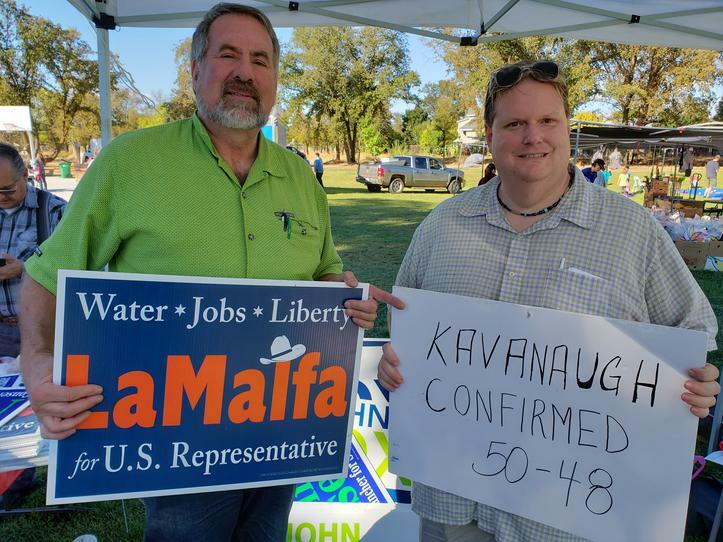 Pictured left is Glenn County Chairman Ryan Edson.